AAPL uses these characteristics to guide its curriculum – helping physicians better understand and acquire the leadership skills needed in health care. Leadership is this ethereal, elusive, undefinable thing, right? Yet, we know a leader when we see one. It’s unmistakable. You can spend five minutes with a group of people that you’ve never met before, and you’ll be able to pick out the leader (if there is one). AAPL uses these attributes to define leadership when developing its curriculum. ADAPTABLE: Approach every challenge with an open and willing spirit, and see all obstacles as opportunities to iterate, grow and improve. ETHICAL: Base decisions on a set of core values, and those decisions lead to outcomes that honor, serve and respect the humanity of others. VISIONARY: Transcend status quo by drawing inspiration from common and uncommon sources, and use that inspiration to help others achieve potential. INTROSPECTIVE: Understand how personal thoughts and behaviors affect outcomes, and take time to discover the truth of themselves and others before passing judgment or committing to action. VIGILANT: Use action and decision as their primary problem-solving tools, look back on past experiences to overcome future obstacles and draw strength and grounding from core values. TACTICAL: Align the goals of individuals with the objectives of an organization, and integrate people with process to create progress. KNOWLEDGEABLE: Pursue an ongoing awareness of issues and challenges within the industry to inform future decision-making. Why is that? What makes someone “leaderful”? 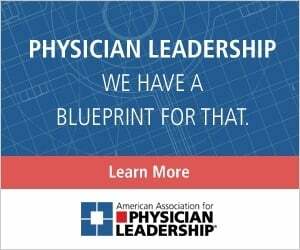 That’s an extremely important question for the American Association for Physician Leadership, which promotes and encourages physician leadership. 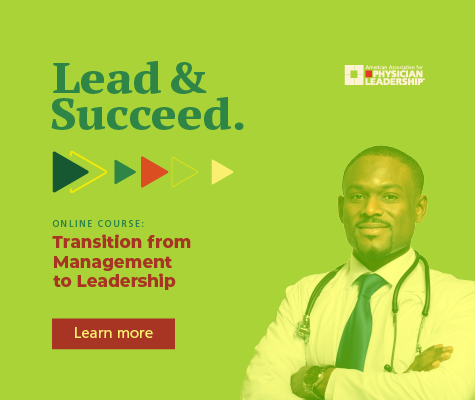 Essentially, the association sought to quantify leadership characteristics to guide the development of a curriculum specifically designed to facilitate leadership traits in physicians. Intelligence? Not always. There have been great leaders who aren’t as smart as the people they lead. Charisma? Nope. There have been leaders who were all-business introverts who didn’t get along with their followers. Expertise? Not always, no. After careful research and discussion, the list was narrowed to seven: adaptable, ethical, visionary, introspective, vigilant, tactical and knowledgeable. Every successful leader the team could think of – in any industry – exhibited these traits. Some people may respond, “You forgot accountability,” or “You forgot empathy,” or another characteristic. But when someone exhibits all seven traits, he or she has no choice but to be accountable or empathetic. AAPL believes the collective seven measures cover the major attributes of leadership. The association uses these characteristics to guide its curriculum – helping physicians better understand and acquire the leadership skills needed in health care. Erik Sabol is an instructional designer for AAPL.